A small company specializing in fine leather products, Art Leather offers bags and purses, travel bags, briefcases, backpacks, and more. The selection includes handmade items for both men and women. 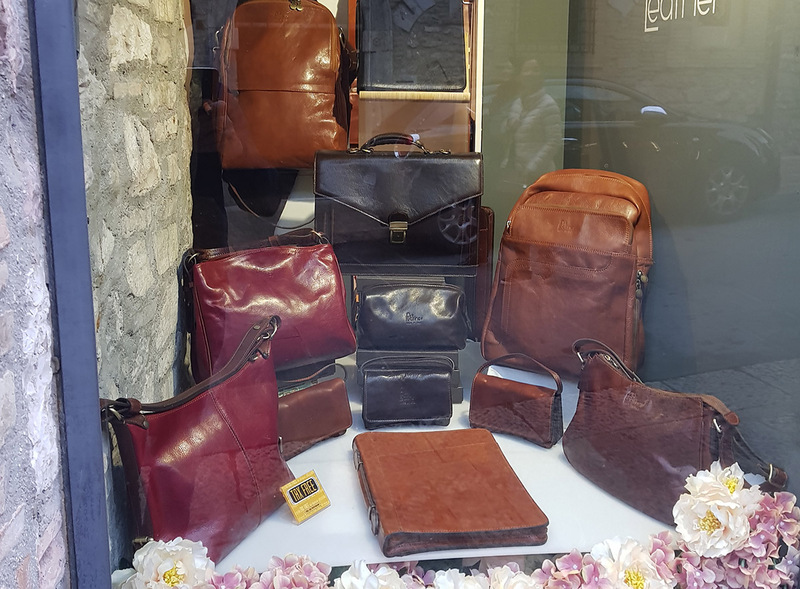 These quality items work well as gifts for someone you love, or as elegant additions to your collection of fine Italian-made leather products. Check the website for the full line of available items, specials, and other practical info. 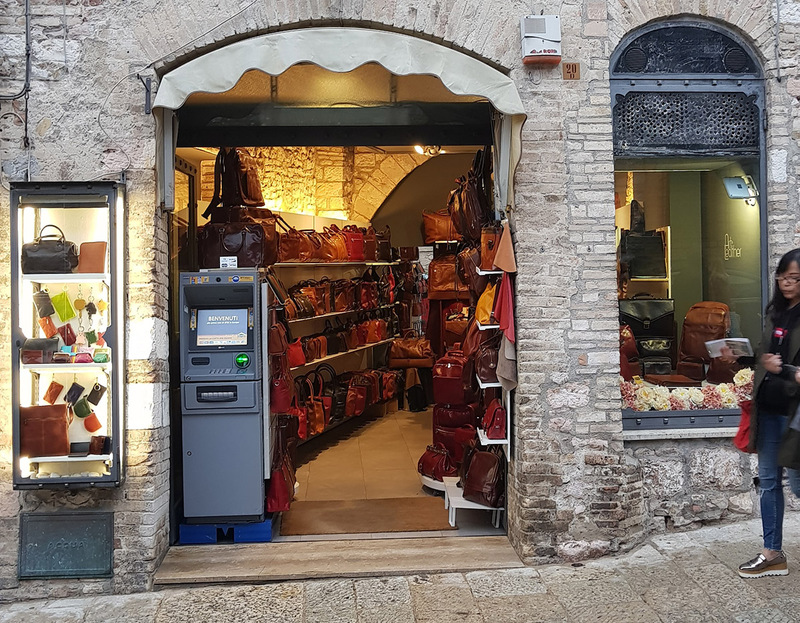 Arrange to visit Art Leather and other attractions in Assisi using our Assisi online travel route planner . Ottima qualità e grande cortesia! Pelletteria artigianale italiana dove poter respirare antiche sapienze in un luogo straordinario come Assisi. Excellent quality and very comfortable! 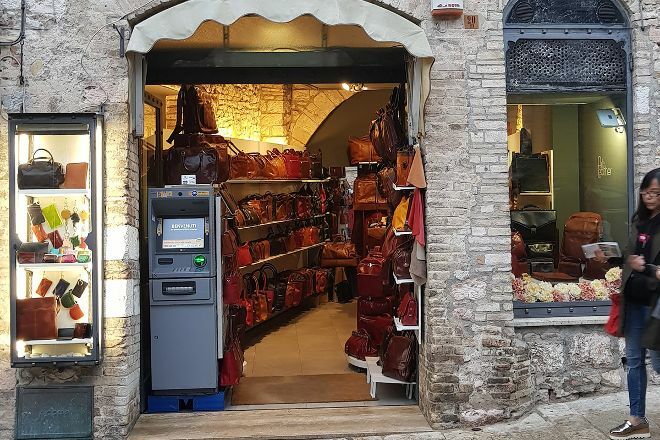 Italian leather factory where you can breathe the ancient knowledge in an extraordinary place like Assisi. 이태리 장인의 느낌이 나는 멋진 가죽제품들을 합리적인 가격으로 만날수 있는 멋진 매장입니다. I feel the stunning Italian craftsmanship, leather products, you can meet cool stores at a reasonable price. Every day, we help thousands of travelers plan great vacations. Here are some tips on how to use your Listing Page to attract more travelers to your business - Art Leather. Promote your permanent link - https://www.inspirock.com/italy/assisi/art-leather-a9459569189 - on your website, your blog, and social media. When a traveler builds a plan from this page, the itinerary automatically includes Art Leather. This is a great way for travelers looking for a great vacation in your city or country to also experience Art Leather. Promoting your link also lets your audience know that you are featured on a rapidly growing travel site. In addition, the more this page is used, the more we will promote Art Leather to other Inspirock users. For best results, use the customized Trip Planning Widget for Art Leather on your website. It has all the advantages mentioned above, plus users to your site can conveniently access it directly on your site. Visitors to your site will appreciate you offering them help with planning their vacation. Setting this up takes just a few minutes - Click here for instructions.